The final goal of the MCOP project comprises the definition and deployment of a technology neutral platform for MCPTT enabled apps for Public Safety in order to reduce the entry barriers and integration efforts due to the heterogeneity and complexity of the MCPTT ecosystem. 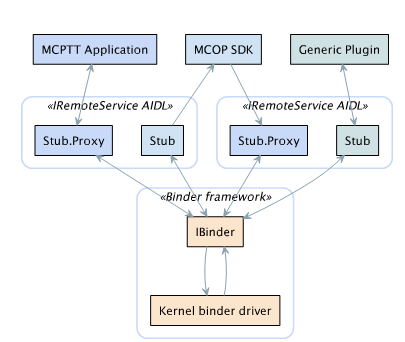 The MCOP platform will include the so-called MCOP Unified Open Application API (Northbound API), supporting the interface between the MCPTT apps and the MCOP SDK and the Integration API, responsible for providing Southbound interface from the SDK to the OS-dependent low-level capabilities. 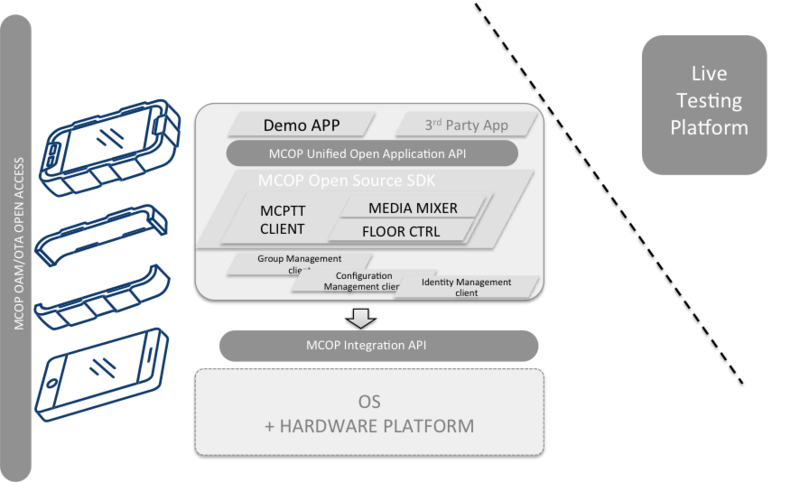 MCOP team has already released a technology agnostic definition of the MCOP Unified Open Application API (MUOAPI). This solution is valid for any platform and any programming language, as it only provides the necessary communication primitives and information flows between the different components of the MCOP architecture. AIDL (Android Interface Definition Language) will be used for both MUOAPI and MCOP Integration API in Android platform, so every method invocation of the MCOP SDK and plug-ins will be based on AIDL. In this platform MCOP SDK and plug-ins will need to be implemented as Android services. AIDL allows to define the interface that both client and server services should use in order to communicate with each other using inter-process communication (IPC). AIDL auto-generates a Binder interface to simulate a synchronous function call from the caller’s perspective. The picture shows the AIDL based MCOP architecture.